GOVERNMENT has said efforts to re-engage the international community have opened a window for it to address problems facing Zimbabweans living in foreign countries. Since President Mnangagwa’s inauguration, Government has made it a priority to engage countries that were hostile to the previous administration led by ex-President Robert Mugabe. The development has seen even Britain warming up to the new dispensation, with Zimbabwe expected to re-join the Commonwealth before year end. The Minister of Home Affairs and Culture, Dr Obert Mpofu, said in an interview last week that Zimbabweans in foreign countries would also benefit from the country’s re-engagement efforts. “Zimbabwe is now friendly to all the countries within and outside the region. We want our citizens to be treated in a manner that is cordial and receive attention on issues where-ever they are from the Government,” said Dr Mpofu. He said Government is in the process of engaging South Africa after Zimbabweans based in the neighbouring country highlighted their challenges to President Mnangagwa. Dr Mpofu recently revealed that South Africa’s Home Affairs Minister Malusi Gigaba had reached out to him to discuss issues of mutual interest. “Issues relating to permits and general concerns of disporans were raised during the President’s visit to South Africa. They (diasporans) raised quite a number of issues which we are likely to deal with when we do follow ups as ministers,” he said. 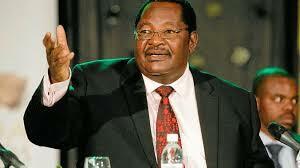 Dr Mpofu said already the re-engagement process had started bearing fruits. The minister said as an example, progress has been made in dealing with challenges faced by Zimbabweans based in Botswana.